Ice cover of Artic (Jan 2016) shown in a Satellite image..Though this winter was "Above Normal"..This Image and Recent Events speak in differently..
With the exception of the yellow line, the map was compiled from observations by the Advanced Microwave Scanning Radiometer 2 (AMSR-2) sensor on the Global Change Observation Mission 1st–Water (“Shizuku”) satellite, which is operated by the Japan Aerospace Exploration Agency (JAXA). The map above shows Arctic sea ice extent for January 2016. January from 1981 through 2010, as determined from a sequence of NASA and U.S. Department of Defence satellites. The Ice , no doubt, a bit less than the "normal' Average Yellow line...about 7.5% below normal. 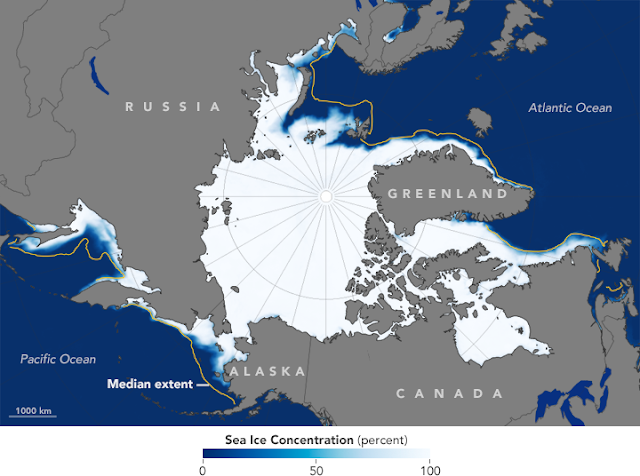 A preliminary analysis released by the National Snow & Ice Data Centre found that Arctic sea ice extent averaged 13.53 million square kilometers during January 2016—1.04 million square kilometers (7.5%) below the 1981 to 2010 average. The cap of sea ice over the Arctic Ocean is always changing. Each winter it grows dramatically, usually reaching its maximum in March. It melts just as dramatically each summer, reaching its minimum in September. --March 1st: Japan...Hokkaido faces worst blizzard in years. Japan’s Meteorological Agency warned Hokkaido on Tuesday to brace for its worst blizzard in years.The agency forecast 40 cm (16 inches) of snowfall in the 24 hours until 6 a.m. Wednesday in the region. 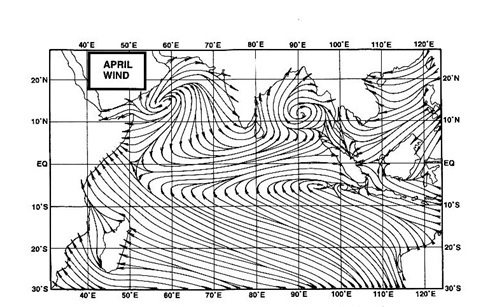 The trough in the lower level easterlies from Konkan & Goa to East Rajasthan now seen as an upper air cyclonic circulation over Gujarat & adjoining south Rajasthan and extends upto 1.5 km above mean sea level. Palghar recorded 10mm rainfall till 11.30pm.. So opens an 2016's rain account today ! !